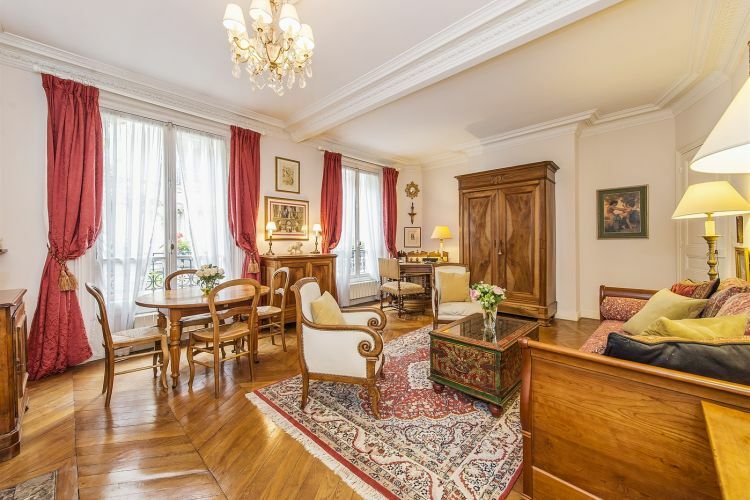 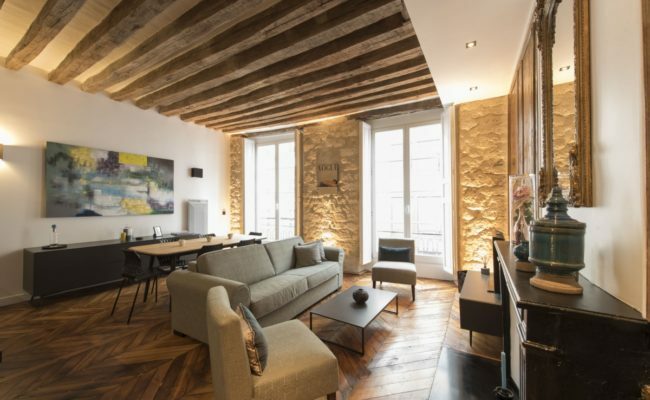 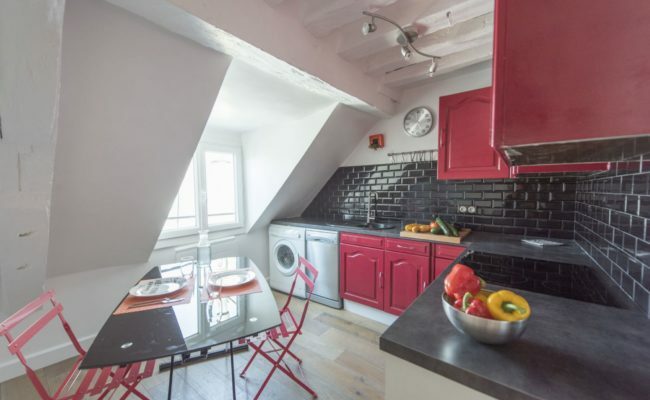 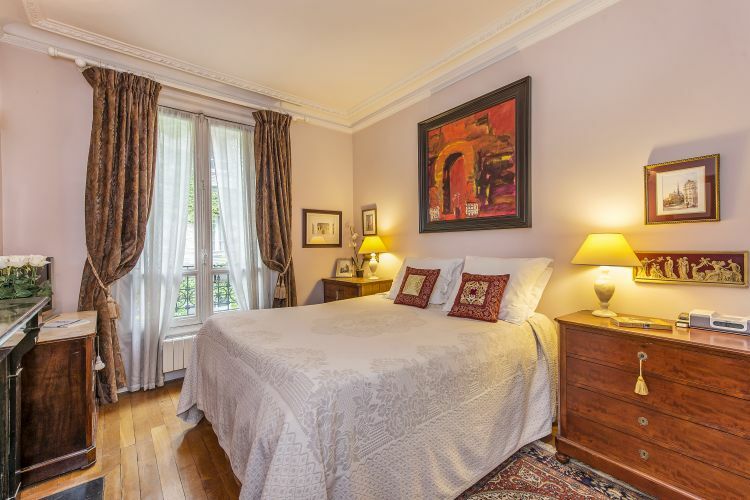 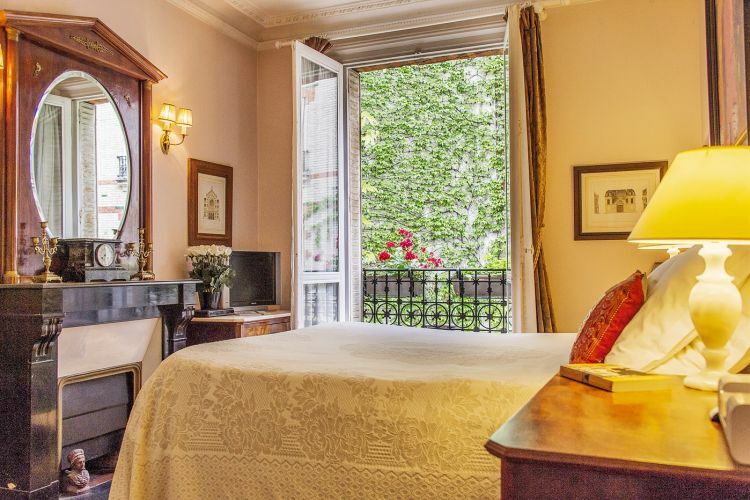 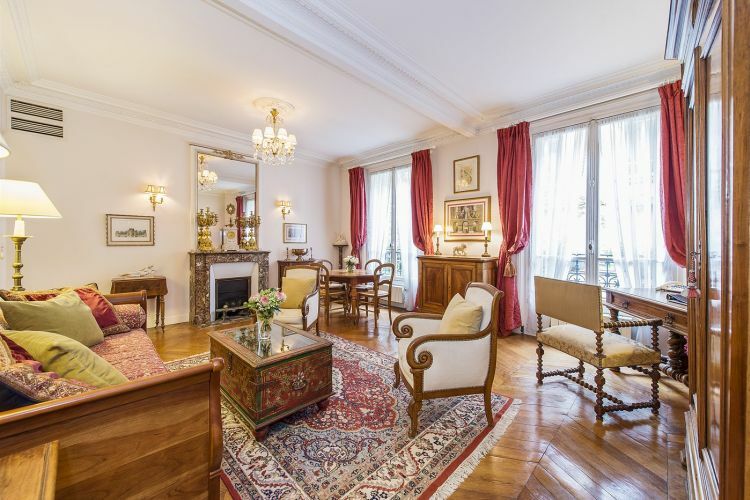 This elegant fully renovated one bedroom apartment on the second floor with elevator of a well maintained stone and brick 19th century building is located in the historical Village St. Paul area of the Marais. 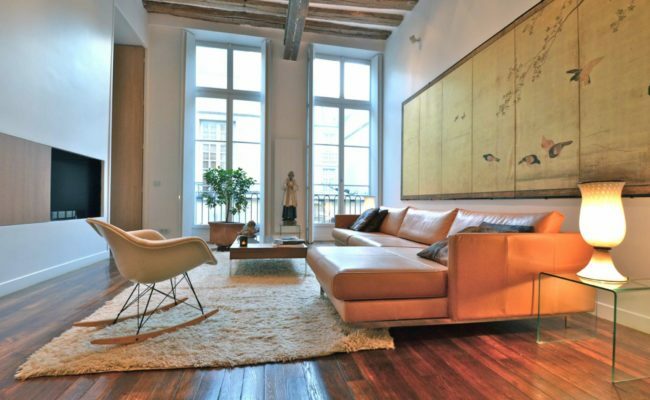 The apartment overlooks a large courtyard filled with greenery and benefits from high ceilings and windows in every room. 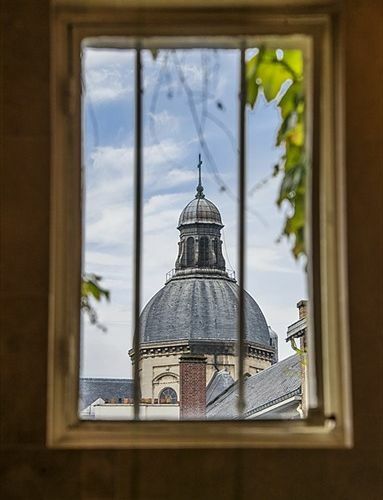 There are two large windows in the living/dining area and the St. Paul basilica can be seen from the bathroom window. 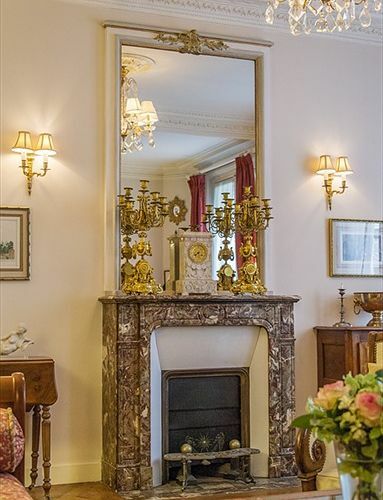 Marble fireplaces, crown moulding and original oak parquet flooring enhance both the living room and bedroom. 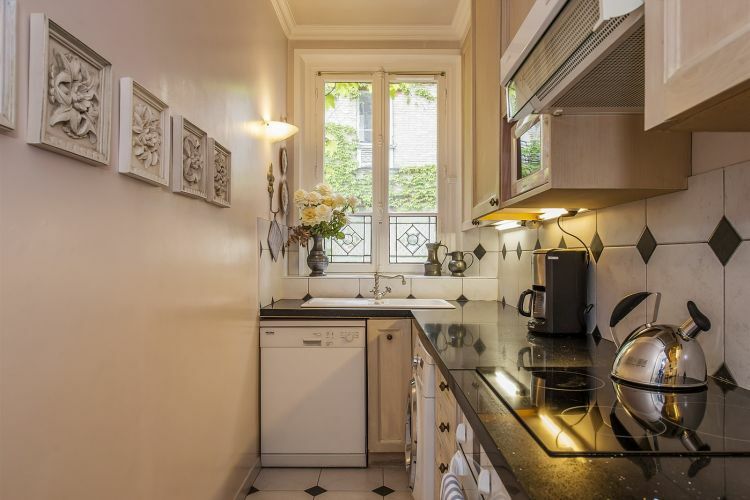 There is a fully equipped separate kitchen with stone counters. 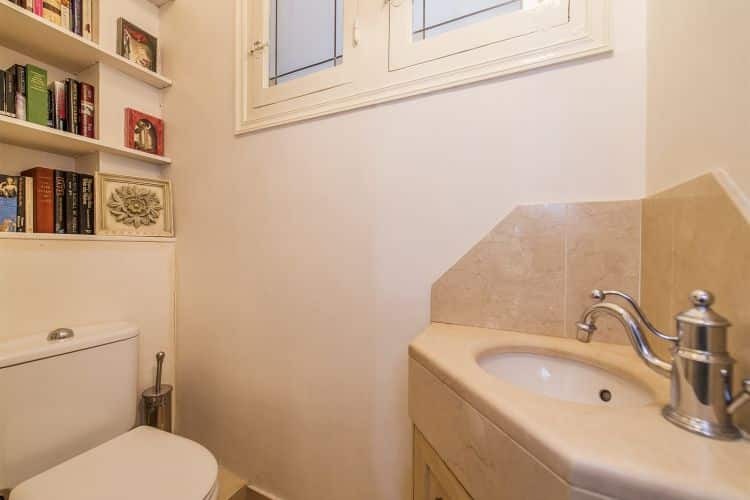 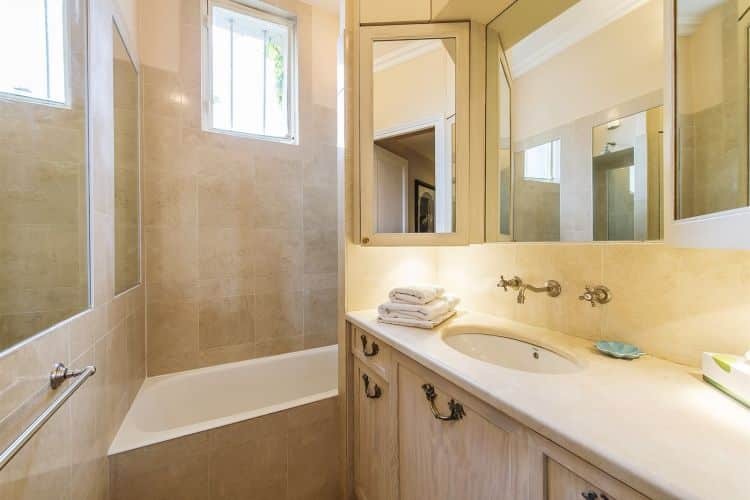 The marble bath has heated flooring and there is an independent WC. 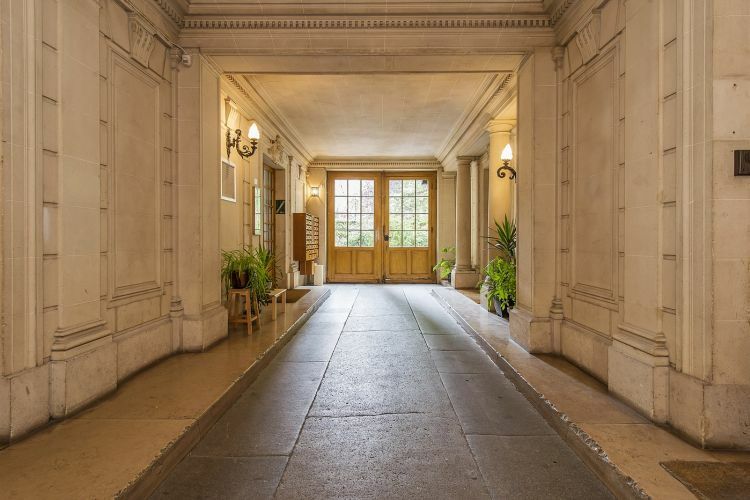 High quality materials have been used throughout, adding modern amenities such as built-in cabinetry and air conditioning while preserving the historical beauty of the property’s architectural details. 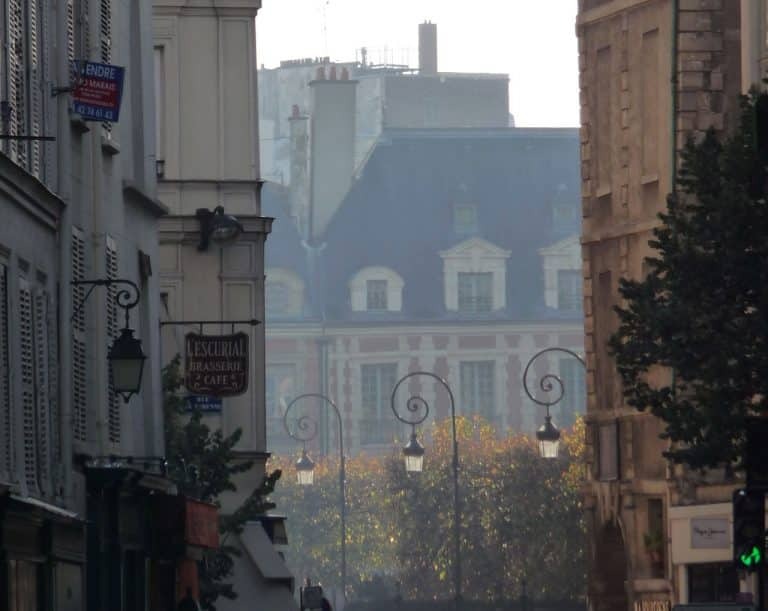 This quiet street is known for its beautiful architecture and former private mansions, yet shops, restaurants and transportation are all in close proximity. 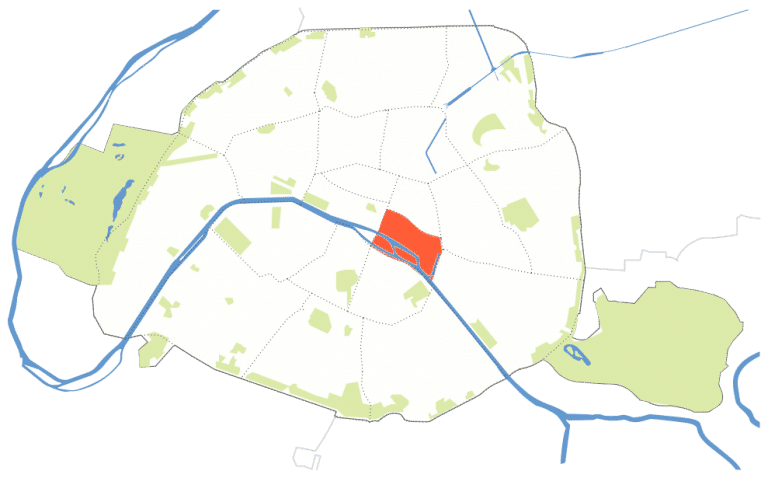 The Seine and the Ile St. Louis are two blocks away. 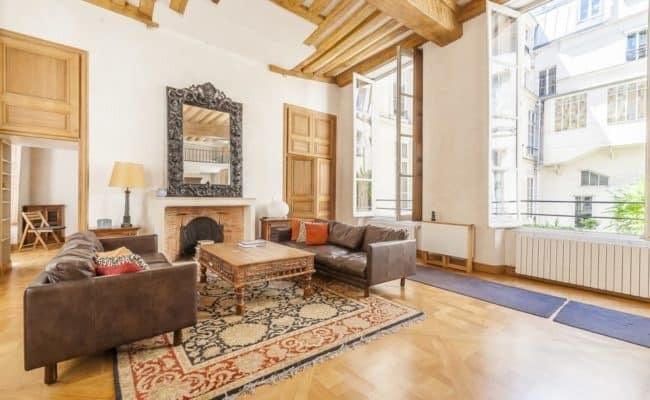 Both the place des Vosges and the Bastille, with its opera house, are nearby.